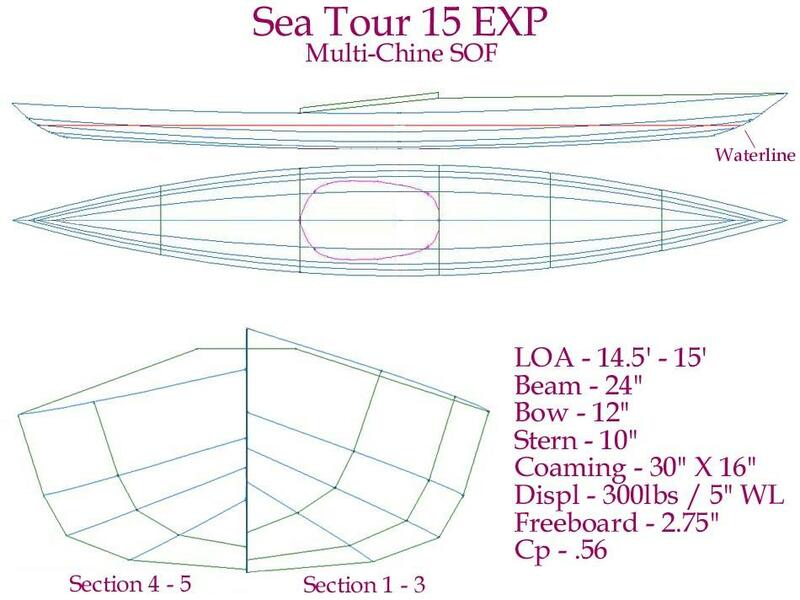 The Sea Tour EXP ( Expedition) 15′, 17′, and 20′ (Double), are multi-chine touring kayaks with greater displacement and gear storage capability than the Sea Tour single – chine designs. Compared to the Sea Tour’s, they are wider and taller. The 15′ and 17′ singles have a flat aft deck configuration. The double has a full length peaked deck. All EXP’s can be constructed as wood frame SOF, Aluminum frame folding SOF, or woodstrip construction.